Whether you are looking for a handful of participants for your gap year programme or a large number of students for your undergraduate courses, we will put you in touch with your target group in Germany. Einstieg is Germany`s leading service provider in the field of undergraduate recruitment - and your reliable partner for the German student market. 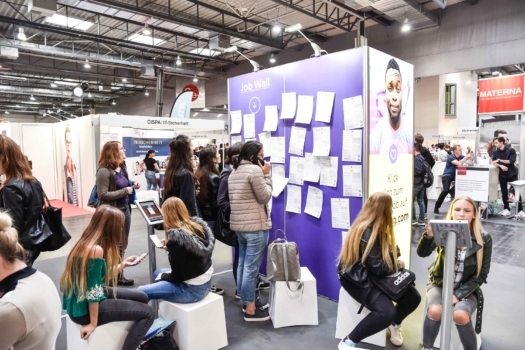 Our large recruitment fairs give you the ideal platform for targeted education marketing and efficient student recruitment. Our high-quality crossmedia marketing campaigns help you reach teenagers in their environment online as well as in schools. Our in-house student marketing agency Jugenstil provides you with a full service of tailored solutions for all your recruiting needs. More than 1,500 clients from over 15 countries have been benefitting from our knowledge and experience for 20 years. 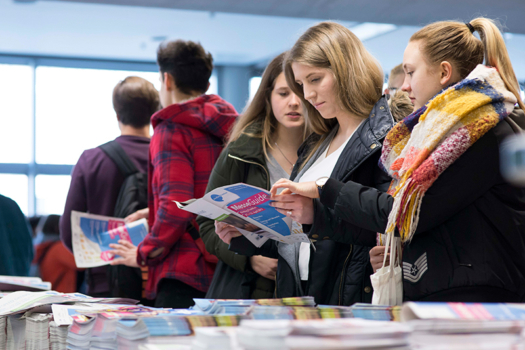 Would you like to receive information on news and offers around the topic of German undergraduate student recruitment by Einstieg GmbH? We keep you posted! How do teenagers find out if a profession is the right one for them? By talking to people who practise it. Students get this opportunity nine times a year at our study and career choice fairs. 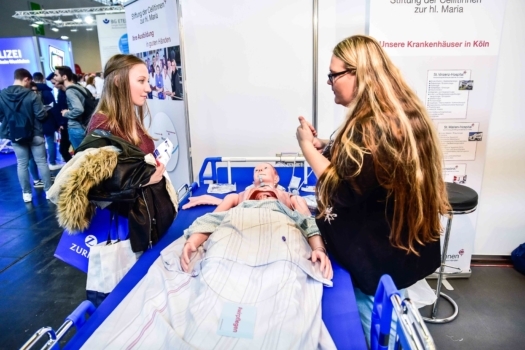 As an exhibitor you can give a first-hand impression of your courses and training options and convince the target group in personal conversations. Einstieg provides well-prepared visitors. The interest check with exhibitor matching tool on Einstieg.com finds the most suitable exhibitors for their profile and they can pre-arrange appointments with them. 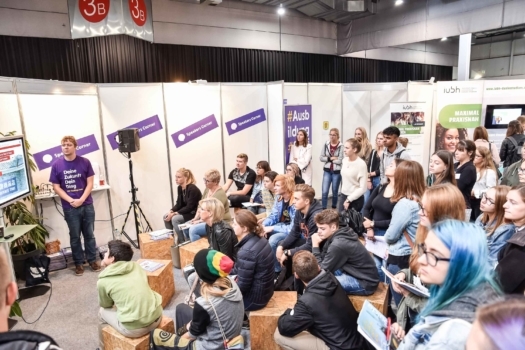 As an exhibitor you can increase your visibility at the fair and raise interest by giving a presentation, offering a workshop for students or taking part in the job challenge, which gives students the opportunity to interactively try out different professions or jobs. Multiplier groups such as parents or teachers are especially important to us. In the parent and teacher forum we provide special talks and workshops for them so that they can support their children or students in their career orientation phase in the best possible way. 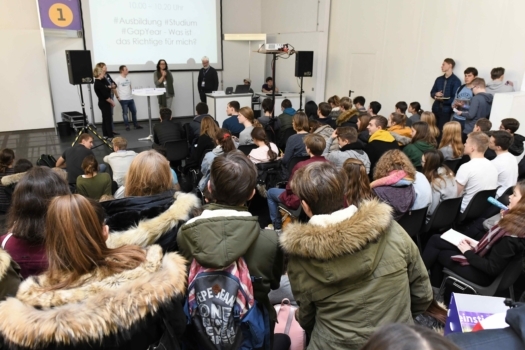 The region around Cologne, with its mix of young and established companies as well as its attractive education sector, offers innovation at its best – and is therefore a magnet for many teenagers. 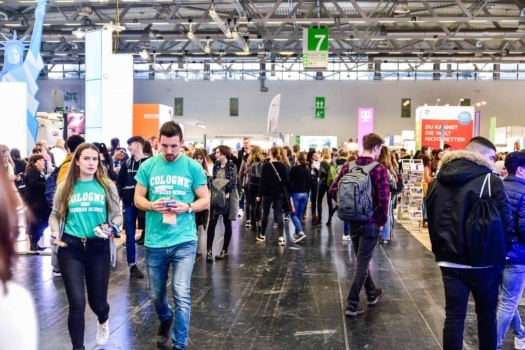 In the heart of this lively city, companies and universities get the opportunity to meet motivated and pro-active young people to recruit the most suited students for their institution.The Einstieg Cologne is by far the biggest fair for training and higher education in North Rhine-Westphalia. 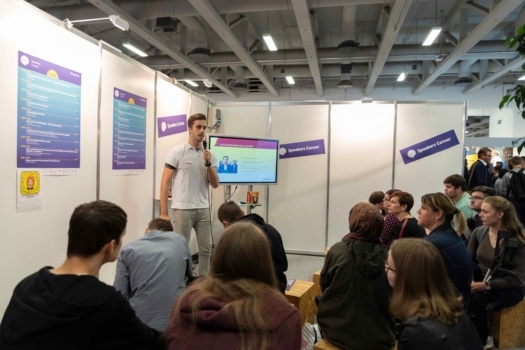 Each year, around 230 national and international universities, companies and further education institutions inform approximately 23,000 visitors about their offers.The fair has a special Media and Games Forum, where matching exhibitors present their training and study options in this field. 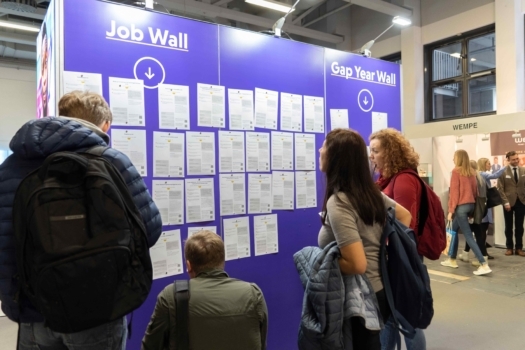 The industries are also featured in the stage programme of the fair as well as in the editorial part of the FairGuide.Target Groups: High school graduates, sixth form students, teachers, parents, young professionals, university dropouts and students looking to change their course of study. Hamburg – the most diverse city in Northern Germany. 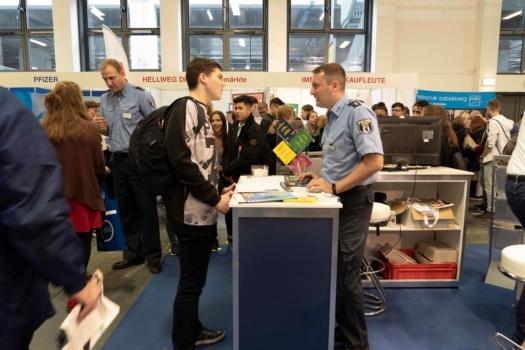 Maritime industries mix with aviation, renewable energies, media, science and pioneering innovations, and create an exciting mix for companies, universities and young people alike.The Einstieg Hamburg is Germany’s largest apprenticeship and study fair. 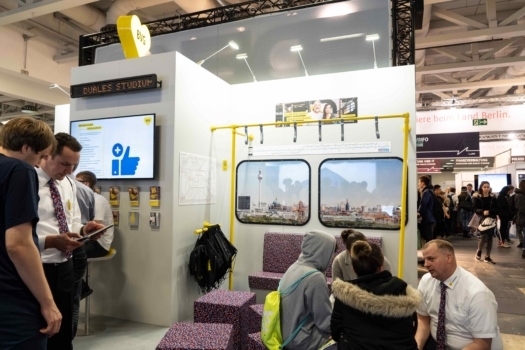 About 330 companies, universities and other education institutions choose the Einstieg Hamburg to present their training and study offers to over 27,000 teenagers from all over Northern Germany as well as their parents and teachers.In the large Logistics Forum that we organise in cooperation with the Logistik Initiative Hamburg, exhibitors from the transportation and logistics industries present themselves.Target Groups: High school graduates, sixth form students, teachers, parents, young professionals, university dropouts and students looking to change their course of study. Frankfurt is the heart of European finance sector and an important media and publishing centre. It offers great outdoors in its surroundings, regional gemütlichkeit and a lively culture scene. The city is Germany’s fifth largest and calls itself the small-scale metropolis. 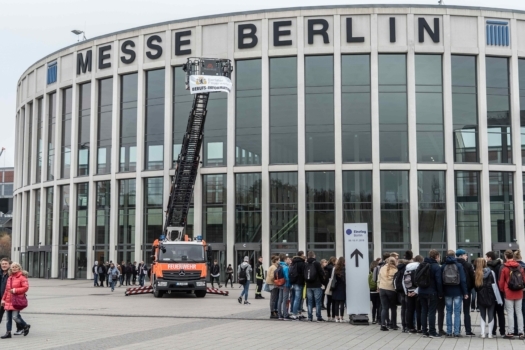 The Einstieg Frankfurt brings together 10,000 visitors with 140 exhibitors. It is supported by a strong regional network: the Chamber of Industry & Commerce Frankfurt am Main, the Trade Chamber Frankfurt Rhine-Main, the Job Centre Frankfurt, the City of Frankfurt am Main, the State School Office, as well as the Career Orientation Teacher Network and the City’s Parent Council cooperate with each other to create Frankfurt’s leading career and study fair. Target Groups: High school graduates, sixth form students, teachers, parents, young professionals, university dropouts and students looking to change their course of study. Dortmund is developing from a heavy industry metropolis into an important service and technology centre. Six universities and 19 further research institutions make Dortmund a science hub and therefore a great place to recruit students.Approximately 130 companies, universities and other education institutions use the Einstieg Dortmund to convince 10,000 teenagers as well as their parents and teachers of their matching offers.In a special STEM Forum at the Einstieg Dortmund, we give you the opportunity to present your training and study options in science, technology, engineering and mathematics.Target Groups: High school graduates, sixth form students, teachers, parents, young professionals, university dropouts and students looking to change their course of study. Karlsruhe is a city of science and research. 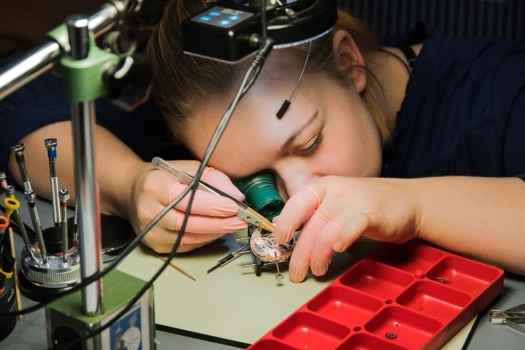 The Karlsruhe Institute for Technology is not only Germany’s biggest research institution, it is also the biggest employer in Karlsruhe. 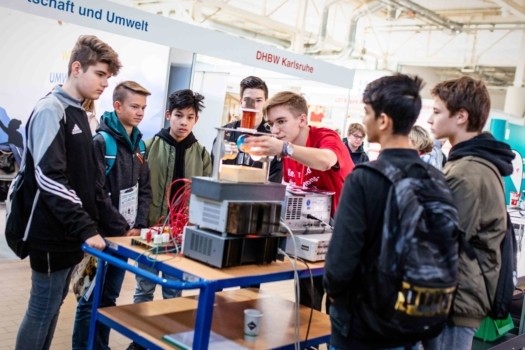 In addition, science institutions in Karlsruhe have an excellent industry network in the local economy, especially in the field of Information Technology.The Einstieg Karlsruhe is the ideal event to recruit students from Southwest Germany and is chosen by 120 exhibitors to present their training and study options to more than 8,000 motivated teenagers.In the Technology Forum exhibitors can present their offers focusing on technology. In addition, there is editorial content about this field in the FairGuide, and the stage programme covers the topic.Target Groups: High school graduates, sixth form students, teachers, parents, young professionals, university dropouts and students looking to change their course of study. Berlin is trendy. Berlin is in fashion – especially with young people. Startups, companies and more than 30 universities and tertiary institutions offer great development and career opportunities. Convince students of the German capital of what you have to offer!About 220 companies, universities and other education institutions use the Einstieg Berlin to help 13,000 teenagers as well as their parents and teachers to develop ideas for their future.One of the focus points of the event is the health industry with its on forum and stage presentations about the topic “Health – Career Opportunities in Medicine, Therapy & Care”.Target Groups: High school graduates, sixth form students, teachers, parents, young professionals, university dropouts and students looking to change their course of study. Munich is an important economic centre with a balanced mix of international companies, regional SMEs and small startups. This healthy balance is also reflected in our exhibitor portfolio at the Einstieg Munich. Everyone is present – from big corporations to the local hotel, from international universities to Bavarian ones. 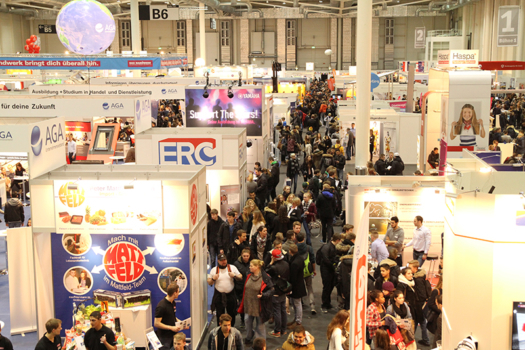 About 200 companies, universities and other education institutions use the Einstieg Munich to help 15,000 teenagers from all over Bavaria as well as their parents and teachers to develop ideas for their future.In the forum “Opportunities in Retail” exhibitors present the opportunities and diversity that the retail sector can offer.Target Groups: High school graduates, sixth form students, teachers, parents, young professionals, university dropouts and students looking to change their course of study. 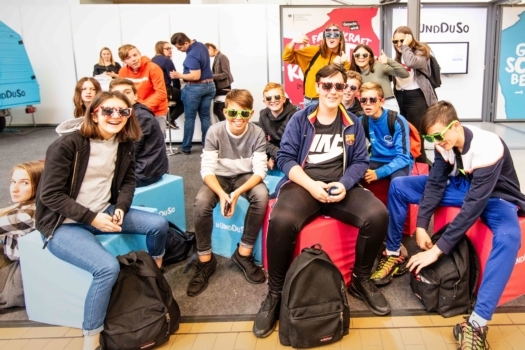 The region around Cologne with its mix of young and established companies as well as its attractive education sector offers innovation at its best – and is therefore a magnet for many teenagers. In the heart of this lively city, companies and universities get the opportunity to meet motivated and pro-active young people to recruit the most suited students for their institution.About 125 exhibitors choose the Berufe live Rhineland to present their training and study offers to over 13,000 motivated teenagers as well as their parents and teachers.In a special forum, we offer you the opportunity to present your training and study options in the fields of environment, technology or science. Target Groups: High school students, teachers, parents, young professionals, university dropouts and students looking to change their course of study. 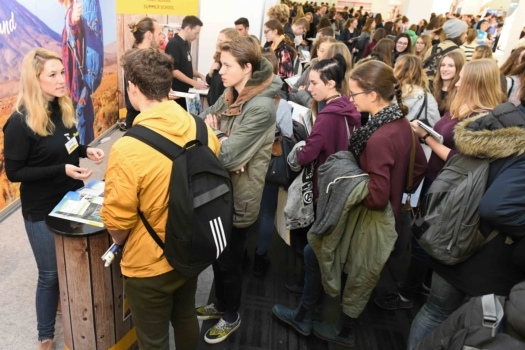 explore19 is the new event concept where young Germans actively deal with the exciting topics of study, gap year and student life. 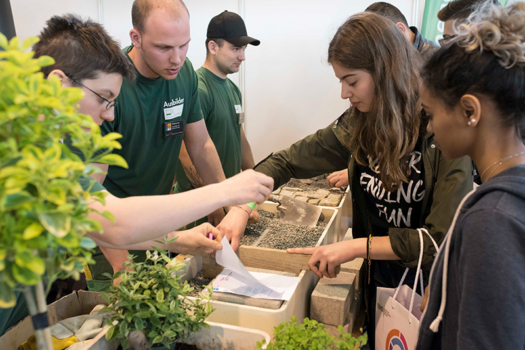 The new one-day concept goes beyond the classic fair character and offers visitors a unique mix of an interactive programme and lots of information. Be there when young German talents start planning their new life chapter! High school graduates and high school students, vocationally qualified individuals, exchange students, gap year returnees, parents. Opening hours Saturday, 10am to 5pm. Admission is free. 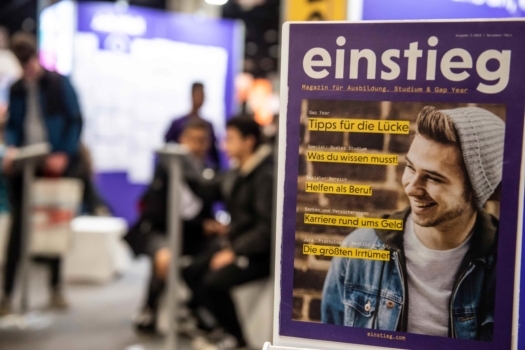 The Einstieg Magazin is Germany’s magazine for training and tertiary education. Our experienced editors write about all topics that teenagers need to consider when graduating from secondary school: apprenticeship, university, job applications, gap year, and career choice. The magazine is published three times a year and is distributed at more than 3,000 subscribed schools nationwide. It is also handed out at all Einstieg and Berufe live Fairs. With our magazine you can reach young talents and can position your offers easily. Please also consider our cross media offers: maximum reach with Einstieg Magazin and Einstieg.com. 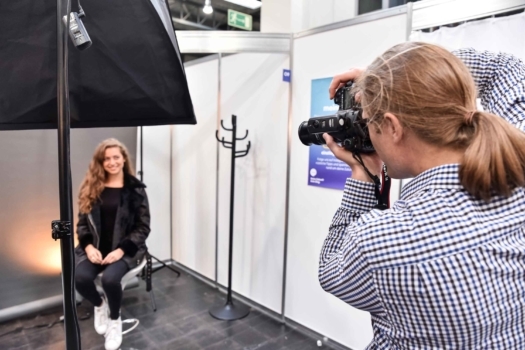 High-quality information about apprenticeships and studies focusing on the Cologne region and integrated FairGuide for the Einstieg Cologne – that is the concept of the regional edition Cologne/Rhineland of the Einstieg Magazin. 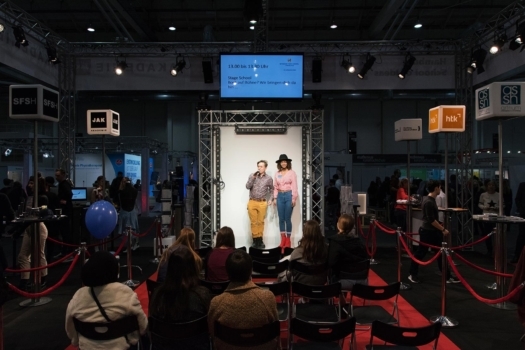 Advantages for exhibitors: Tell students about your fair participation before the event. 30,000 copies of the magazine will be sent to schools in the region beforehand. 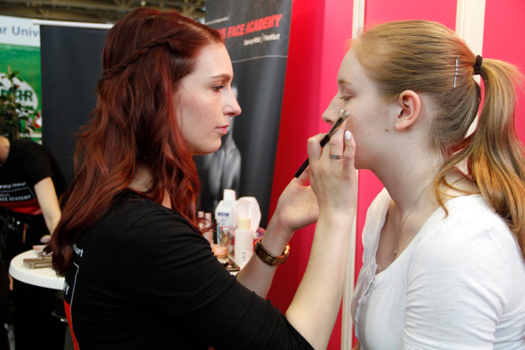 Advantages for non-exhibitors: Reach students in the region with an ad or an advertorial without having to travel to the event. 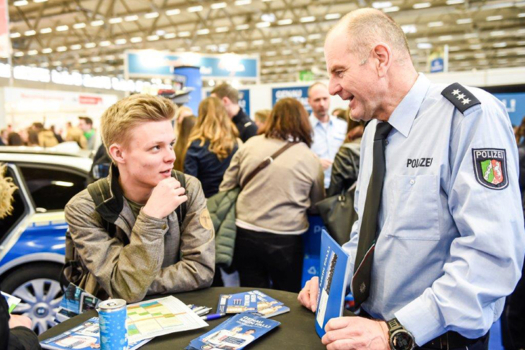 High-quality information about apprenticeships and studies focusing on the Hamburg region and integrated FairGuide for the Einstieg Hamburg – that is the concept of the regional edition Hamburg of the Einstieg Magazin. We used our connection to the target group and conducted numerous workshops, tests and surveys with German teenagers to influence the conception and development of our website www.einstieg.com. The result is a portal made by Gen Z for Gen Z that combines the three main pathways of students after graduating from high school: university, apprenticeship and gap year. 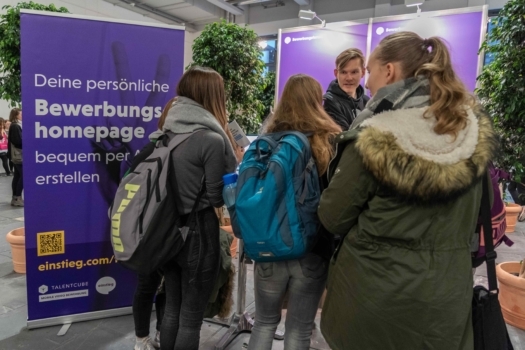 Use the best German portal for career orientation for Gen Z to recruit German students. Increase your visibility and place your logo or certain course profiles on our homepage. In addition, the sponsoring of certain fields of study or gap year types is possible. Reach students, parents, teachers or B2B contacts with a newsletter ad or a standalone newsletter. 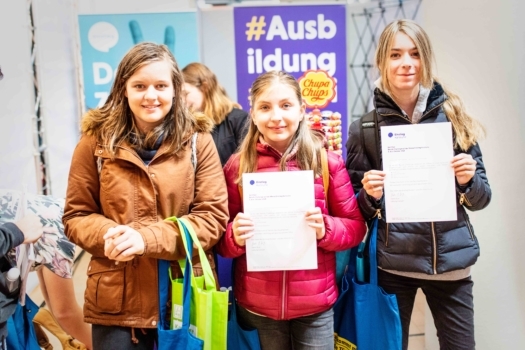 With a banner campaign on einstieg.com you can specifically reach your target group of German teenagers interested in training and undergraduate studies. 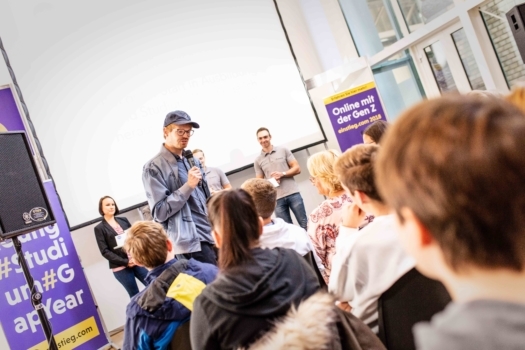 For twenty years we have been providing companies, universities, gap year providers and consulting institutions with platforms and communication channels to start the conversation with young Germans. 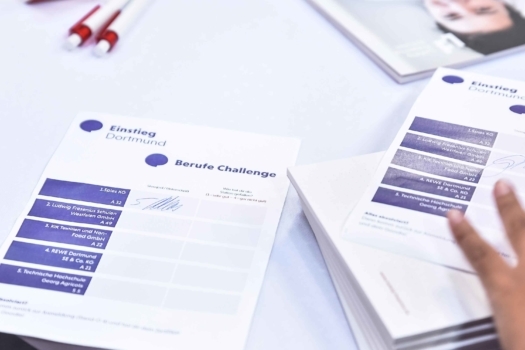 Einstieg stands for career orientation with a commitment to quality, for established matching tools and youth communication across all relevant channels. This is how we enable our clients to find matching young talents and teenagers to choose the right education for them among the vast amount of training and study options available. We are happy to analyse your individual recruiting challenges with you and develop the matching solutions for your needs. Of course you can also send us an email to international@einstieg.com. Our in-house agency uses their wealth of experience with the young target group to identify the USP of your training and study options and develops youth-tailored tools which will help you to stand out from your competition.